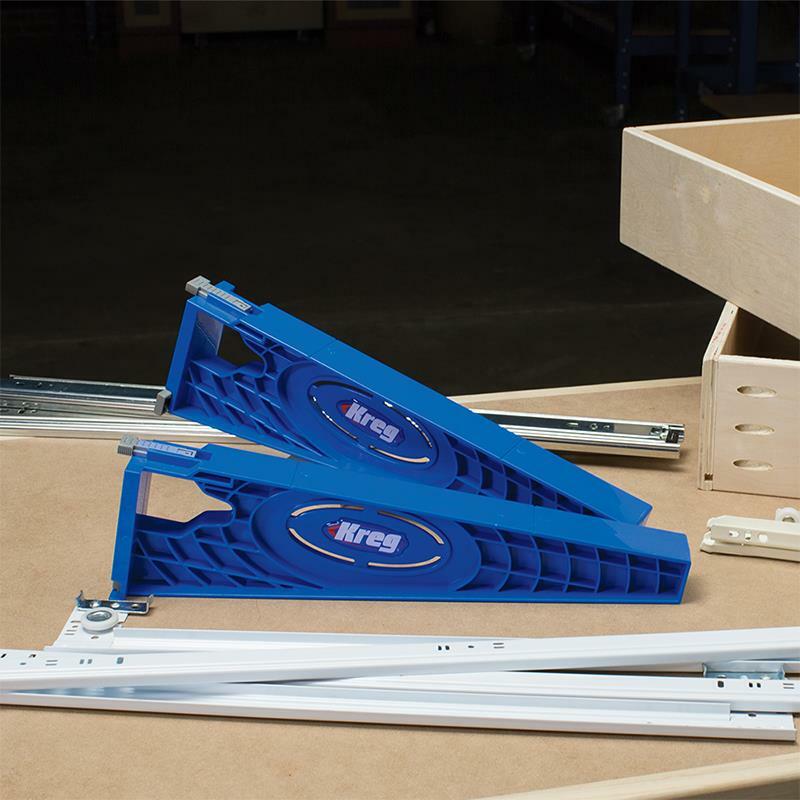 The Kreg Drawer Slide Jig takes the guesswork out of installing drawer slides. 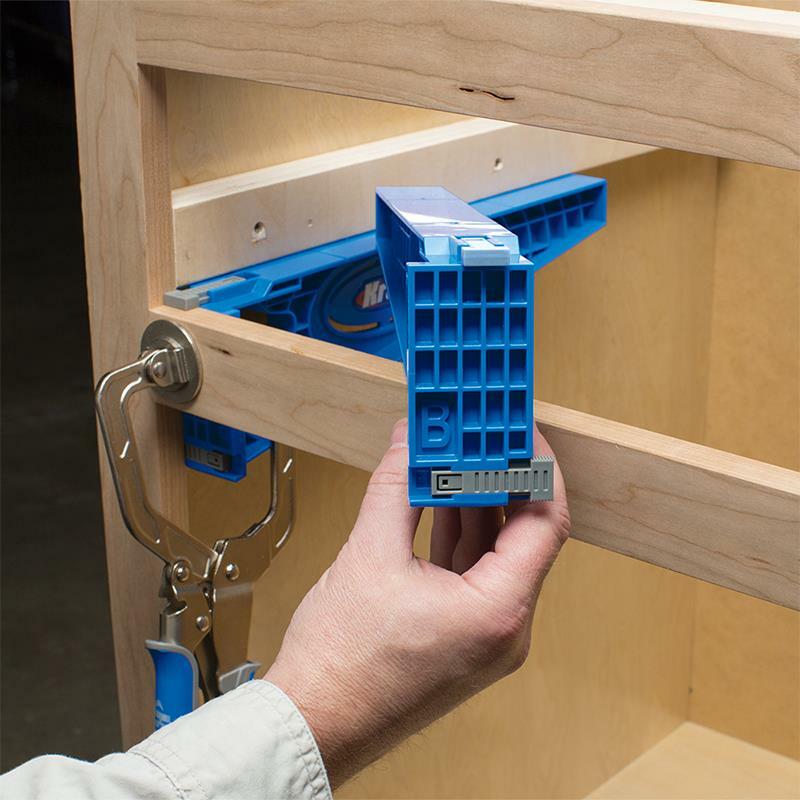 This easy-to use jig holds slides in position as you drill mounting holes in the cabinet, and it supports drawer boxes while mounting slides to the drawer. Plus, the Jig works with ball-bearing, epoxy-coated, and undermount slides for perfect positioning every time. 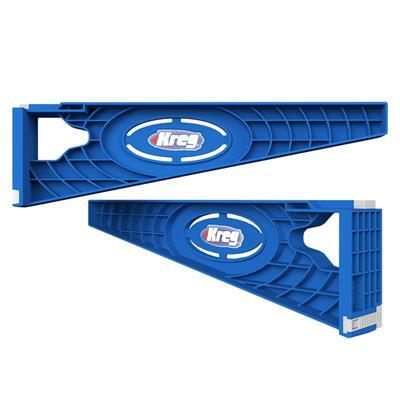 The Kreg Drawer Slide Jig simplifies drawer installation by aligning slides in the cabinet and on the drawer. 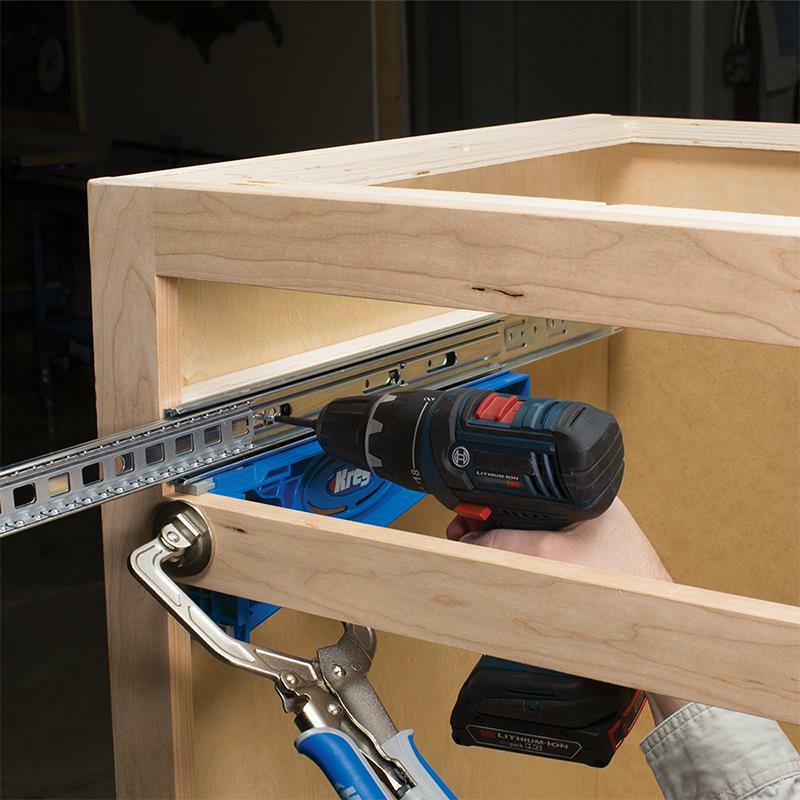 Built-in tabs make the jig easy to align to support the slide inside the cabinet, and to support the drawers as you attach the slides to them. The jig is simple to use, and it ensures that every drawer fits right and operates smoothly. 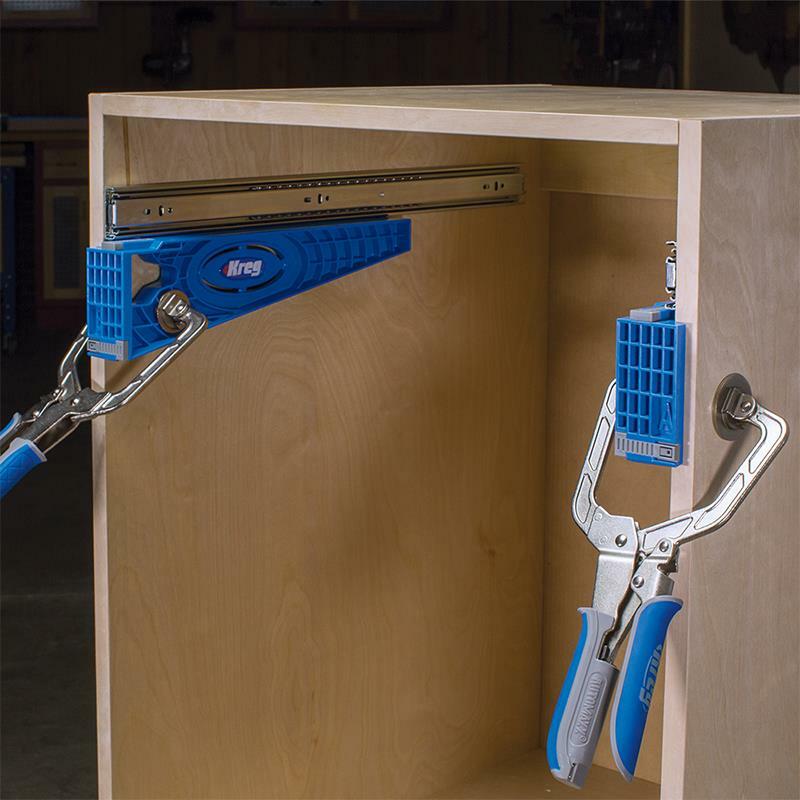 The Kreg Drawer Slide Jig consists of two brackets that clamp in place inside the cabinet—one on each cabinet side—and align with the cabinet face frame (or with designated marks on frameless cabinets) to support the drawer slide as you drill mounting holes. The brackets are also reversible to protrude from the cabinet, and then clamp in place perfectly aligned to support the drawer as you mount the slides to the drawer box, too. The Drawer Slide Jig works with almost all types of drawer slides, including ball-bearing, epoxy-coated, and undermount slides.